Finally. FINALLY. You’ve made all your subsequent layers. You’ve graduated to the big leagues, friends, and victory. Victory has never tasted so sweet. Yes, friends. You thought it would never come. But now you’ve made Lucky Peach‘s Arnold Palmer Cake. This is it. Gather your ingredients. Pictured clockwise (starting at 12): The Almond tea crunch, Lemon Mascarpone, some jam, the Lemon Tea Cake, & Bitter Tea Soak. Cutting the rounds (using a 6″ cake ring). 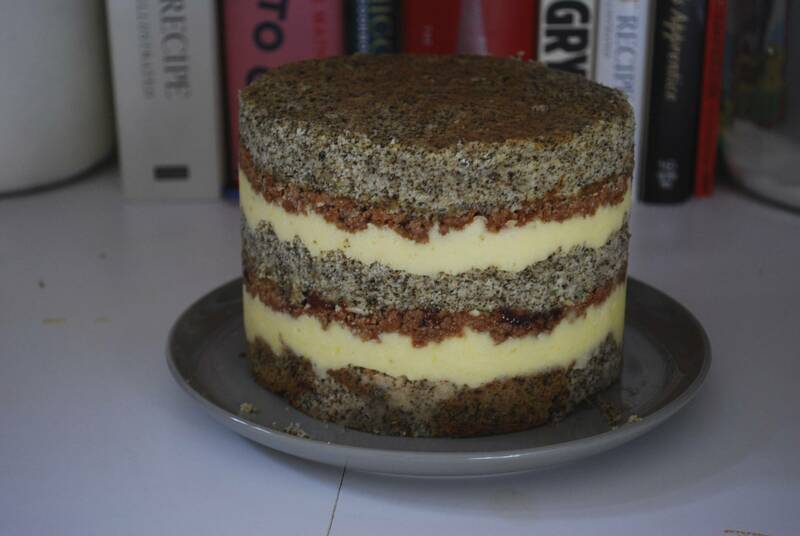 The leftovers (anything outside the circle) are used to make the bottom layer of your lovely cake! Voila! Tamp down the scraps and pour on the Bitter Tea Soak so it comes together! After the first round! The clear thingy is a strip of acetate, which is kind of like that overhead projector paper your teacher used when you were in elementary school. It’s basically the backbone that makes it possible for your cake to be so tall. Yeah, Buddy. You did it. This is gonna taste so good! Pop that sucker (pan and all) into the freezer. Let’s face it, it’ll only be taking up space for like 3 days until you & all your friends nom it in a single sitting. Please disregard the frozen veggies and chicken. 1.5 cups berry jelly, blended in an immersion blender so it’s spreadable (or you can spoon mix it. 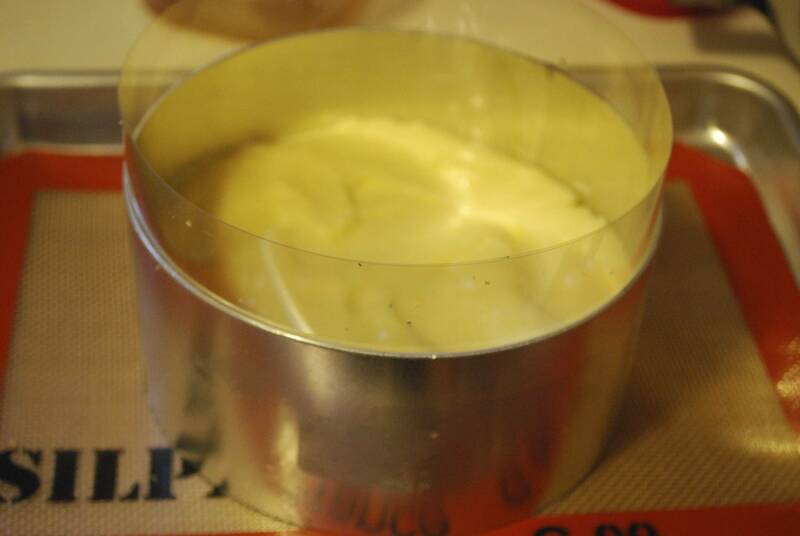 Use cake ring to stamp two circles out of cake (pictured above). You’ll use the “scrap” to from the bottom layer of the cake. Clean cake ring and Silpat. 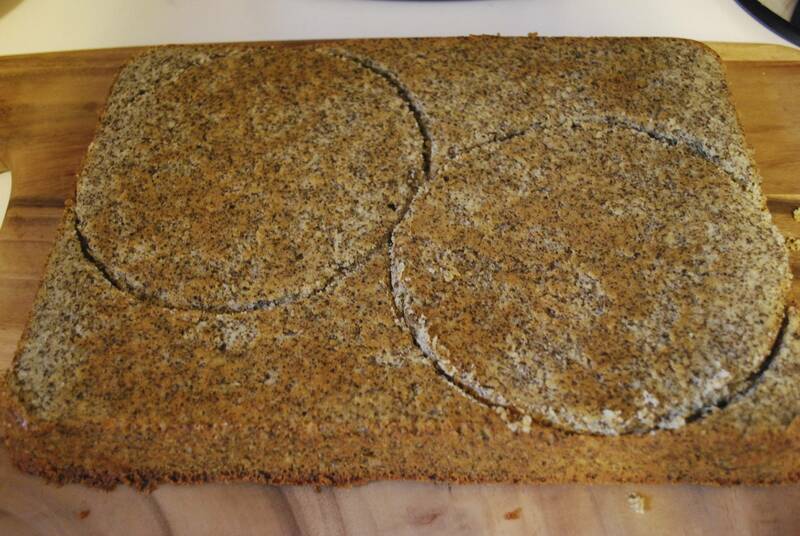 Place ring in center of sheet pan lined in parchment or Silpat. 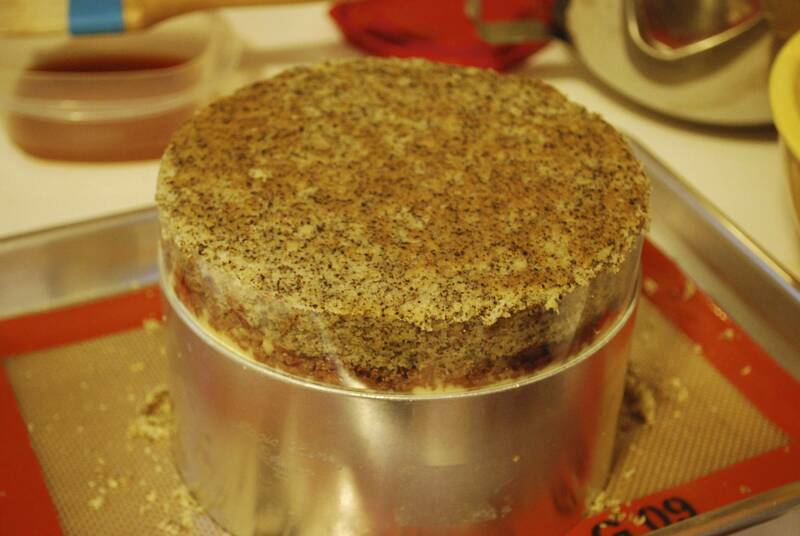 Use fingers to tamp the scrap together into a flat, even layer inside of the cake ring. Using pastry brush, brush bitter tea soak onto the layer (make sure it’s good and covered). Nestle the remaining cake round on top of the second layer of jelly. (If desired), cover the top layer of cake with remaining 1/3 of the jelly, and spread it in an even layer. Transfer the cake, sheet pan and all, to the freezer. It needs AT LEAST 3 hours to set, and it will keep for up to 2 weeks in the freezer. When you’re ready to serve this bad boy, pull the sheet pan out of the freezer. Using your fingers, pop the cake out of the cake ring (it might take some finessing). Put it on a cake stand and let it defrost. It’ll take 3 hours to defrost at room temp, 6 hours in the fridge. 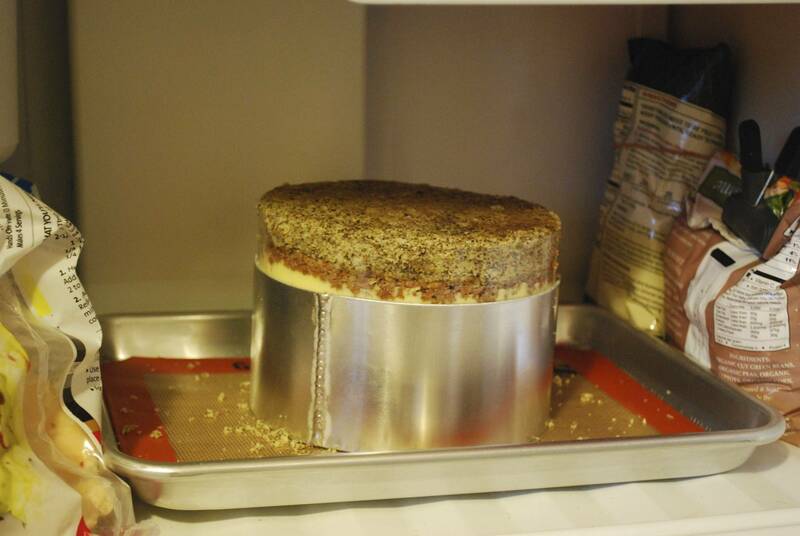 The cake will keep for up to 5 days in the fridge. This is kind of a silly, very “no sh*t” kind of recipe, but it’s necessary for that Arnold Palmer Cake from Lucky Peach‘s second issue. Here are the tea bags soaking in boiling water. Remove it from the heat and add the tea bags. Let the bags steep for five minutes. Discard the tea bags and store the bitter tea soak in an airtight container. It’s like sprinkles for grown ups! 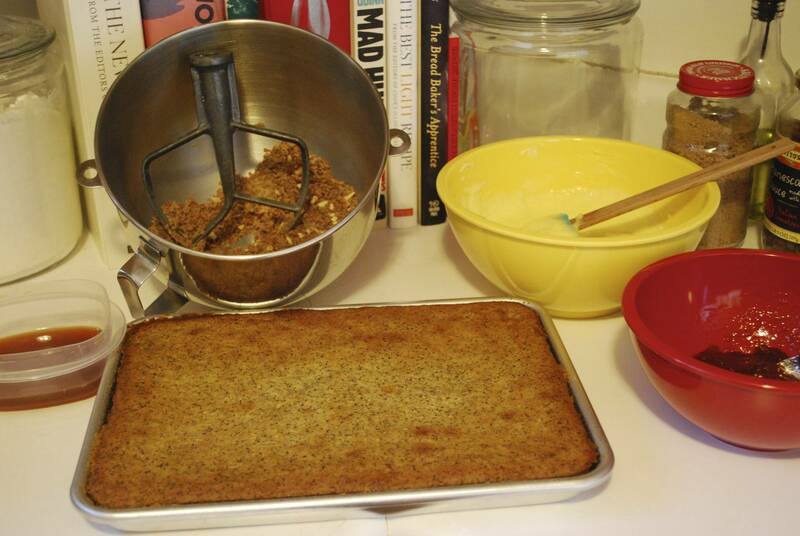 The latest installation in Lucky Peach Magazine’s Arnold Palmer Cake recipe series is the Almond Tea Crunch. Besides an onomonopia, a “crunch” is that added layer of goodness involved in this cake. It’s nutty (obviously… there are indeed almonds in it) but it’s also sweet and, in this case, it’s got a bit of a tea-like flavor. Worry not. If you don’t like tea, this stuff is basically masked in the lemony flavor of the cake. This would also go well on ice cream. OOohh or maybe a homemade strawberry ice cream. (I just had a zing of inspiration). 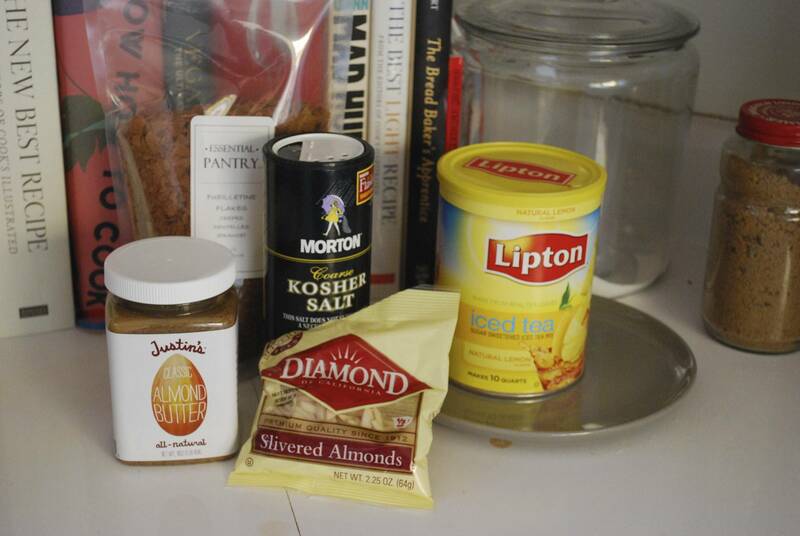 Here are all the ingredients- The feuilletine is in a bag next to the kosher salt. Put all of the ingredients in a bowl and mix it up, buddy! 55g (1/4 C) almond butter –> I’d never had it before, but it’s YUM! 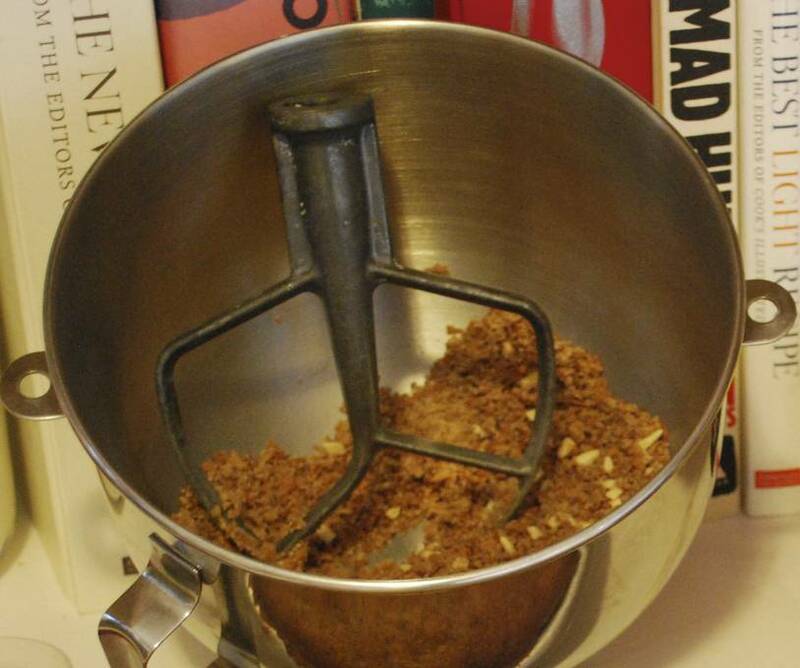 combine everything in a stand mixer until it’s the texture of coarse sand. A sandy loam, if you will. I’m fully aware of how easy of a recipe that is, but it’s TOTALLY WORTH IT. This is the layer of that cake that had all my friends asking, “What is that?” with a look of wonder on their shiny happy faces. I made this recipe in such a hurry that I didn’t remember to take photos! However, it was absolutely delicious. 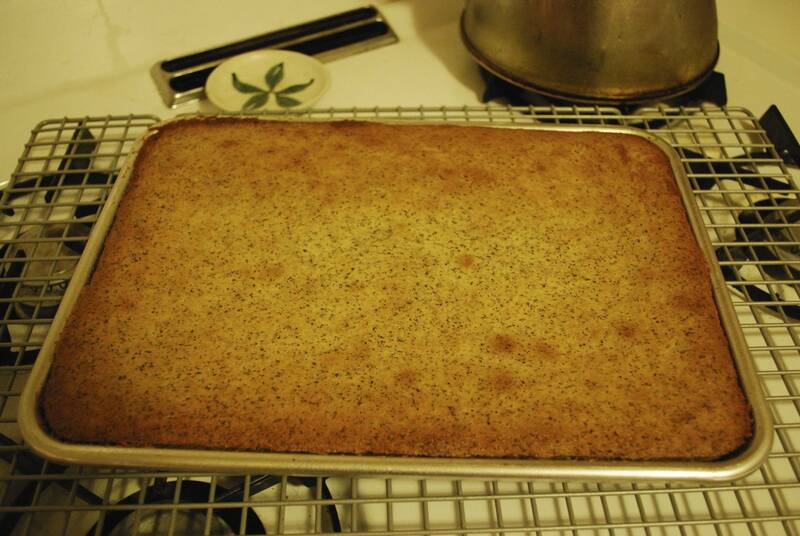 The recipe is an aspect of the Arnold Palmer Cake (Featured in Lucky Peach Magazine) that I worked on a few weeks ago. If you’re making this as part of that recipe, make this delicious aspect the day before, since it needs to cool overnight. Whisk in the bloomed gelatin, butter, and salt. Mix until everything is fully incorporated, shiny, and smooth. Pat yourself on the back, buddy. You just made some good ol’ lemon curd! Transfer the lemon curd to a container and cool in the fridge for a few hours or overnight. 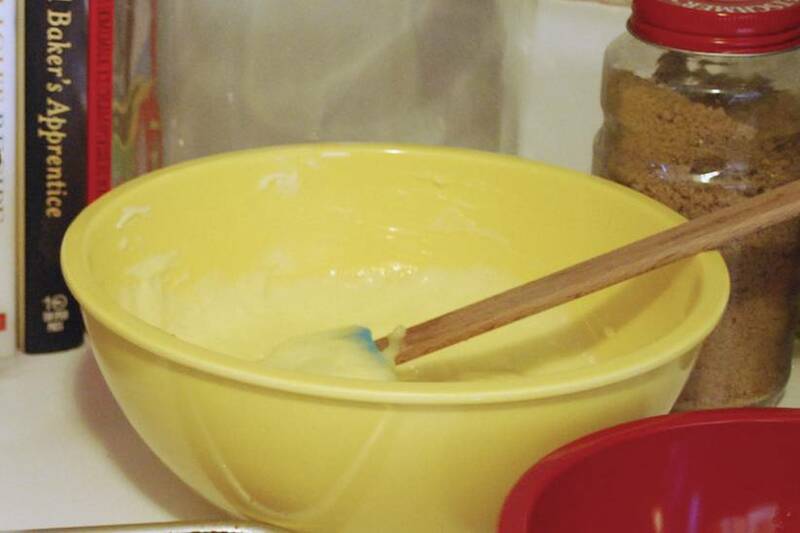 In a stand mixer outfitted with the paddle attachment (or in a mixing bowl, using a spatula), fully combine the lemon curd and the mascarpone. It’s really important that both the cheese and the lemon curd are cold, or they won’t come together properly. **Lemon mascarpone will hold in the fridge for about a week, so you can make this recipe and give yourself a breather before you work on the other ingredients! It was SO rich and delicious! I try to practice the idea of putting ingredients together before I start mixing, so here goes. 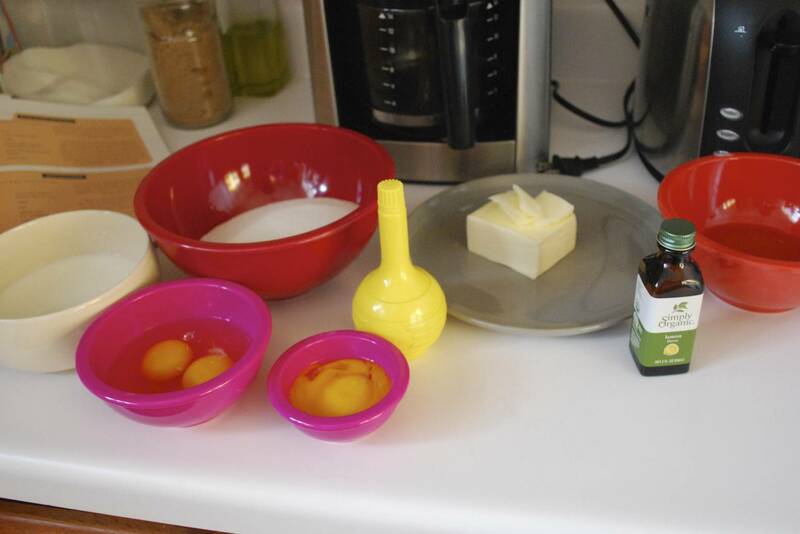 Gather together the butter, sugar, eggs, yolks, grapeseed oil, buttermilk, lemon juice, & lemon extract. Mix the butter and sugar. 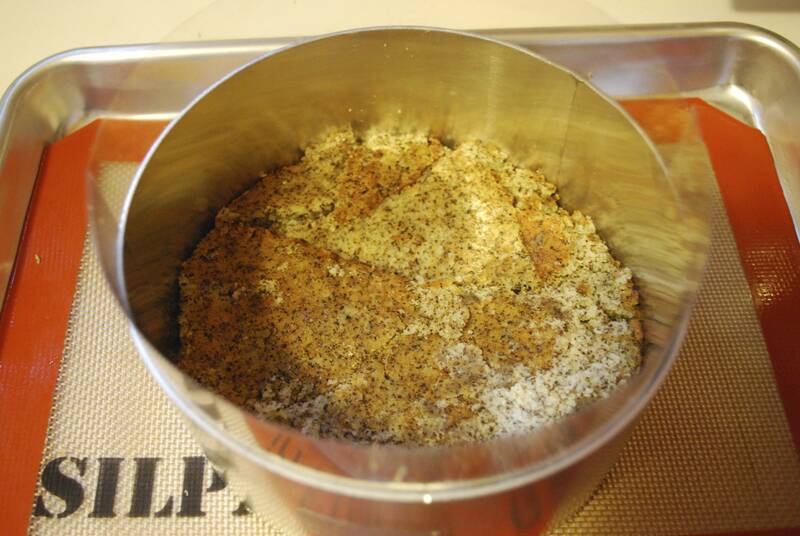 After 2-3 minutes on med/high, scrape the sides down. 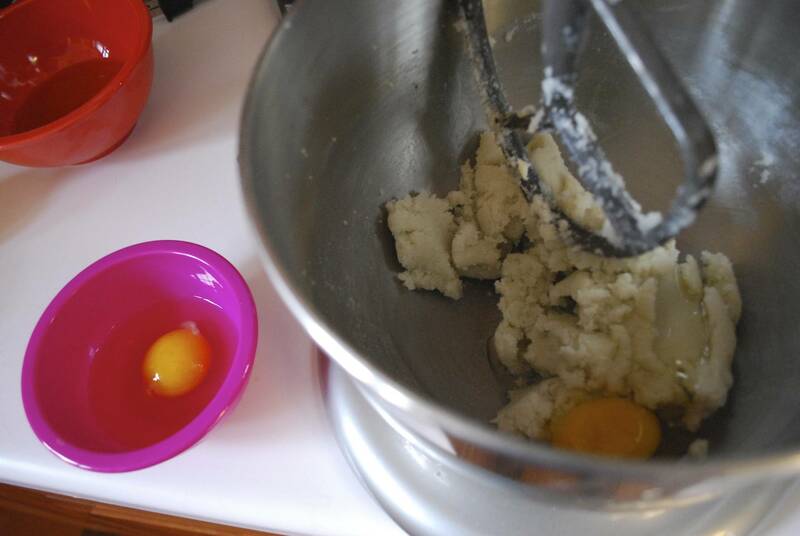 Add the eggs and yolks one by one and mix on a medium speed until they disappear into the butter and sugar. In the mean time I measured out my cake flour, tea leaves, baking powder and kosher salt. (And did some dishes because these were a lot of bowls, y’all! 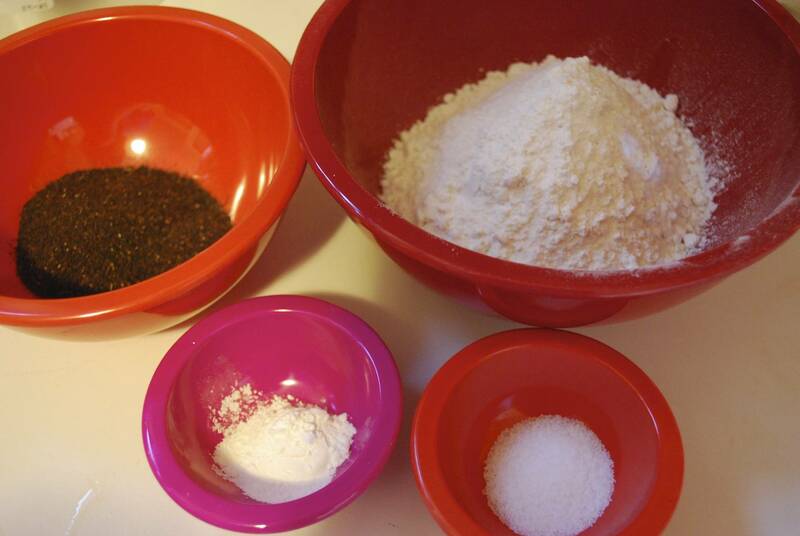 Mix these dry ingredients together. 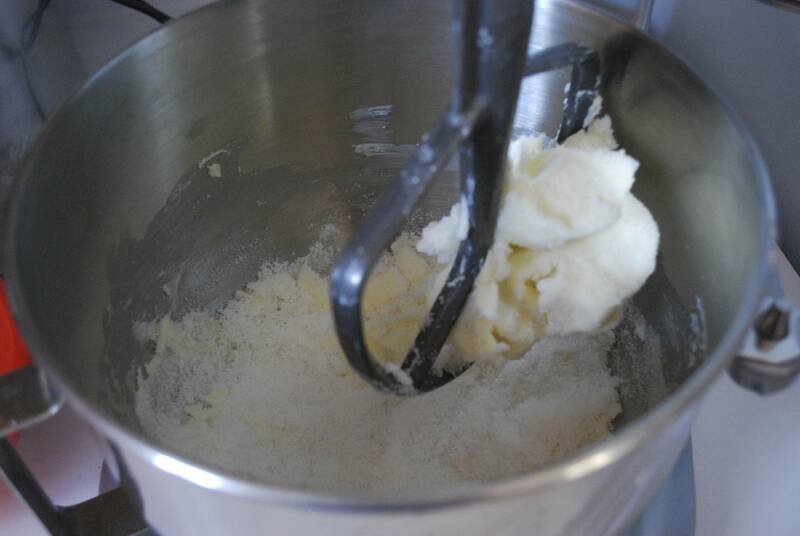 Once the dry ingredients are homogenous and fluff city, turn the mixer to a low speed and add the dry ingredients. DO NOT OVERMIX, FRIENDS! It should take roughly 45 seconds for these ingredients to be blended. Voila! Blended ingredients! Line a quarter sheet pan with parchment or a silpat (that’s what I use). 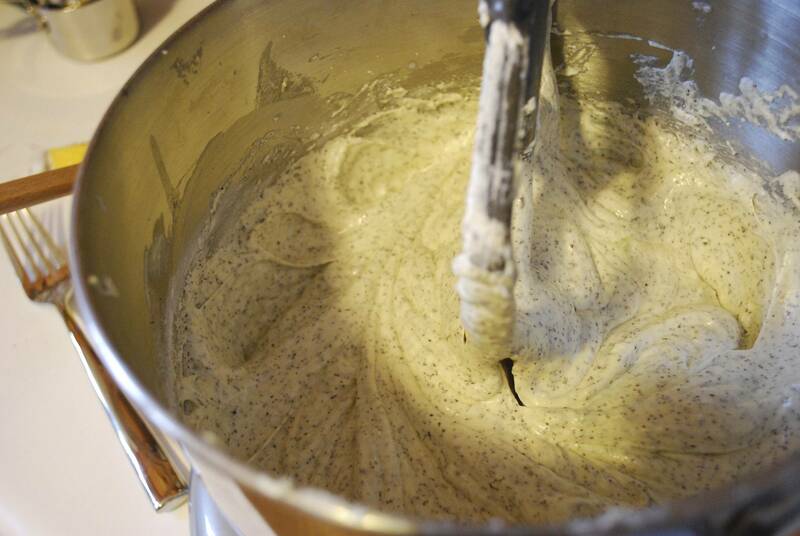 Spread the cake batter on the pan and give it a little jiggle and a few pops on the counter to even it out. Give it a gentle poke around the 30-minute mark to see if it’s springy. In my case, my oven took 35 minutes to bake the cake. * I would soften the butter if I were you. Also, I like Plugra butter because it has a fattier content (less than Crisco, though) so it tastes better. 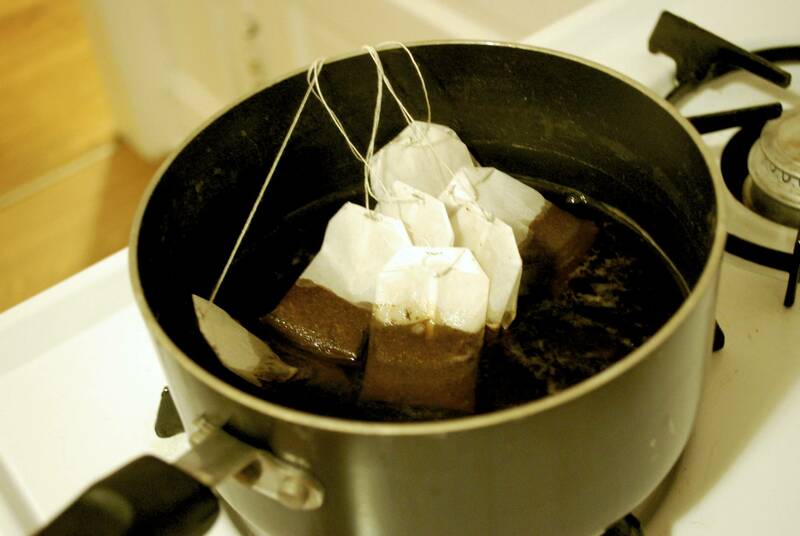 **I actually ended up using about 9 1/3 tea bags to equal 20g. 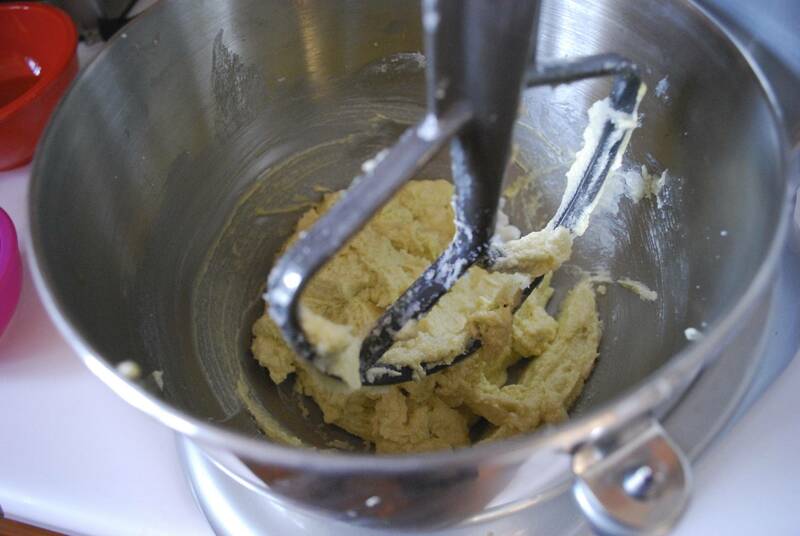 Preheat the oven to 350*F. Cream the butter and sugar in a mixer with the paddle attachment. After 2-3 minutes (on med/high), scrape the sides and add the eggs and yolks one at a time and mix until they disappear into the butter and sugar. 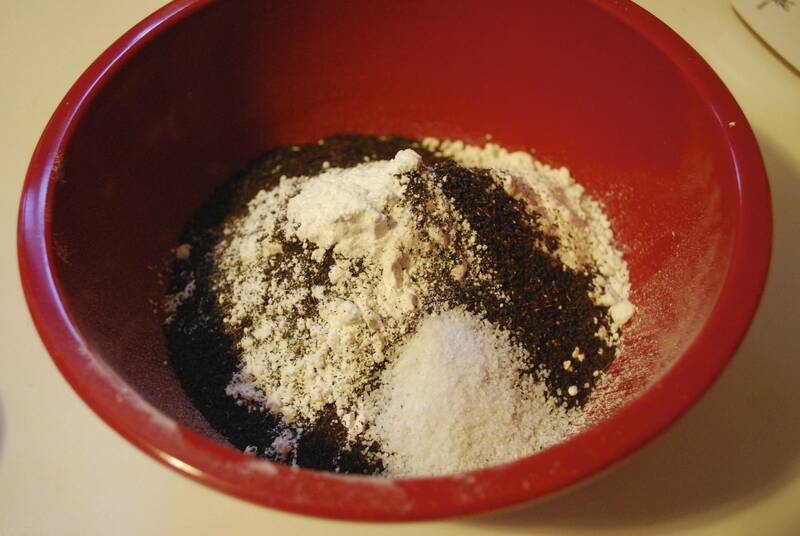 Combine flour, tea leaves, baking powder, and salt in a separate mixing bowl. With the mixer running on low, incorporate the dry ingredients into your main bowl. 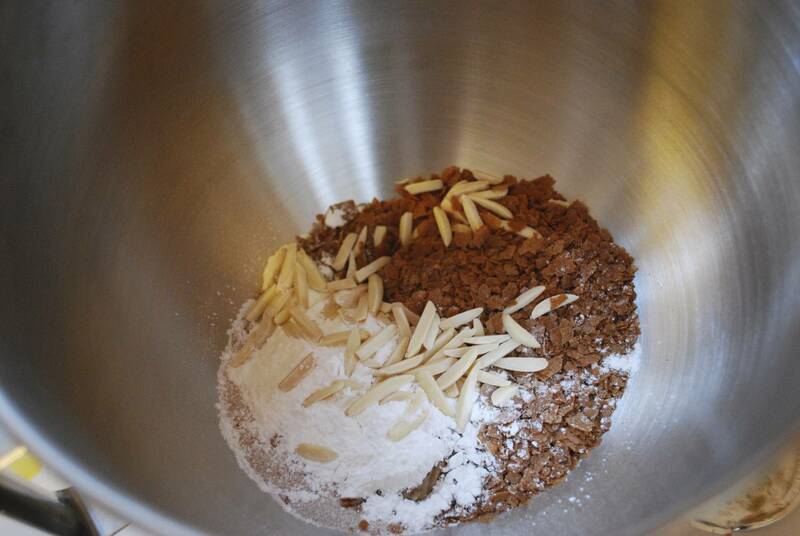 Don’t overmix the cake; just mix until the dry ingredients disappear (~45 seconds). Line a quarter sheet pan with parchment or a Silpat. (Spray a little Pam on the pan before lining it so the cake releases more easily.) Spread the cake batter in the pan. Bake for 30 minutes. Give it a gentle poke around the 30-minute mark to test. You’re looking for it to bounce back, and for the cake to have pulled back from the edges a bit.